Roana was rescued in the spring of 2015 from a cage in a puppy farm. She was six years old and had lived in a cage her whole life, with little human contact. She had no name, no comprehension of human kindness, no experience of being stroked or cuddled. 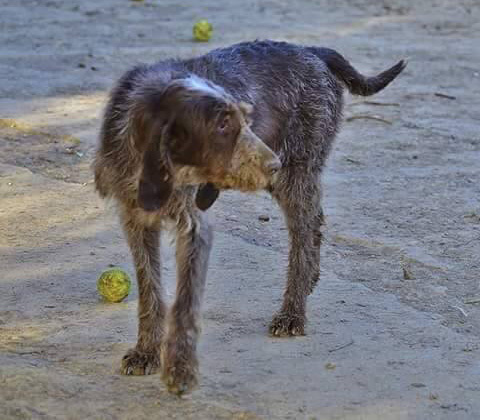 Irma was a young failed hunting dog that was handed to Paola at around the same time. In Italy, Paola fostered Roana and began to assess her needs and what kind of life she might be able to have if adopted. She was found to be good with other dogs but very very shy and scared of humans, and to have some resource guarding issues due to having been deprived of so much. We were lucky to have suitable home offers for her – in Italy she would have been extremely hard (if not impossible) to re-home. She was offered a wonderful and very experienced home with Kim, in the company of other dogs which was very important for her. 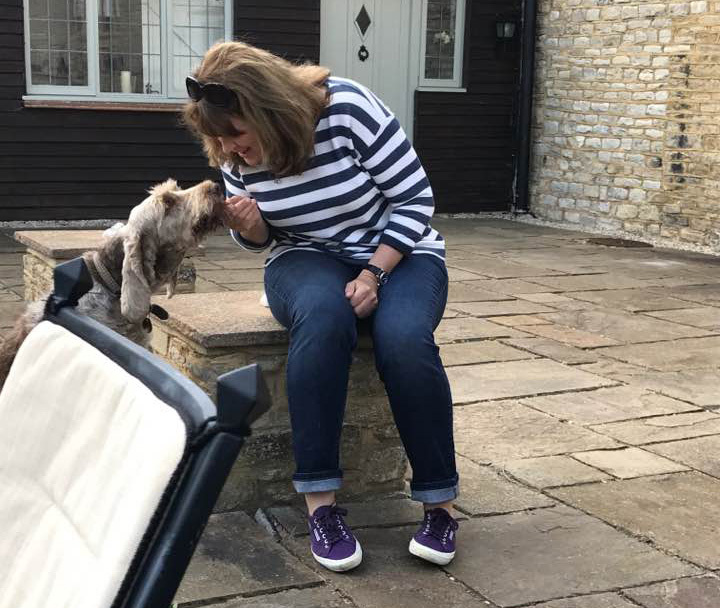 It is often a huge help for a dog that has had a traumatic life to have kind, calm, confident dogs to help them orientate themselves in their new life. 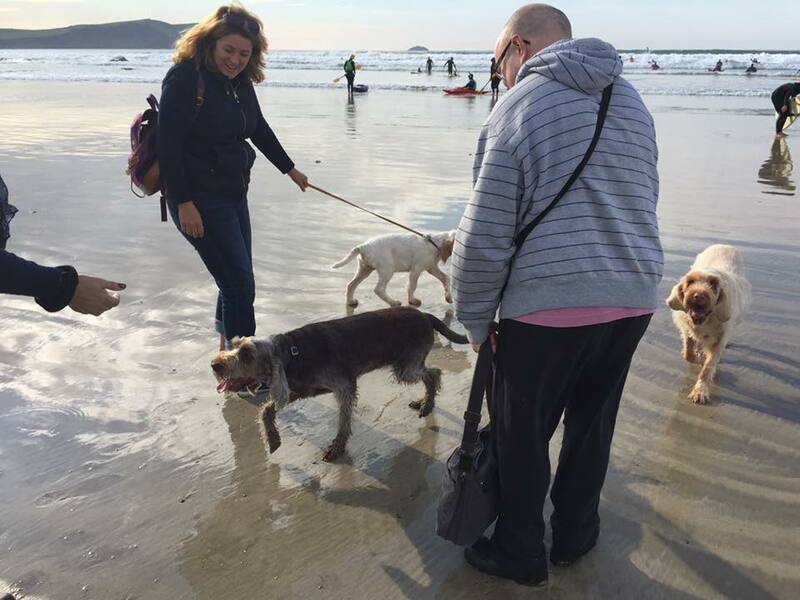 Money was raised for Roana and Irma’s fund very largely by the generosity of The Italian Spinone Dog Lovers Club on Facebook, which paid for their veterinary preparation and travel which was organised by Paola in Italy. Roana has a new name for her new life, and is now called Phoebe. She lives with Kim in Cornwall and has made great progress. 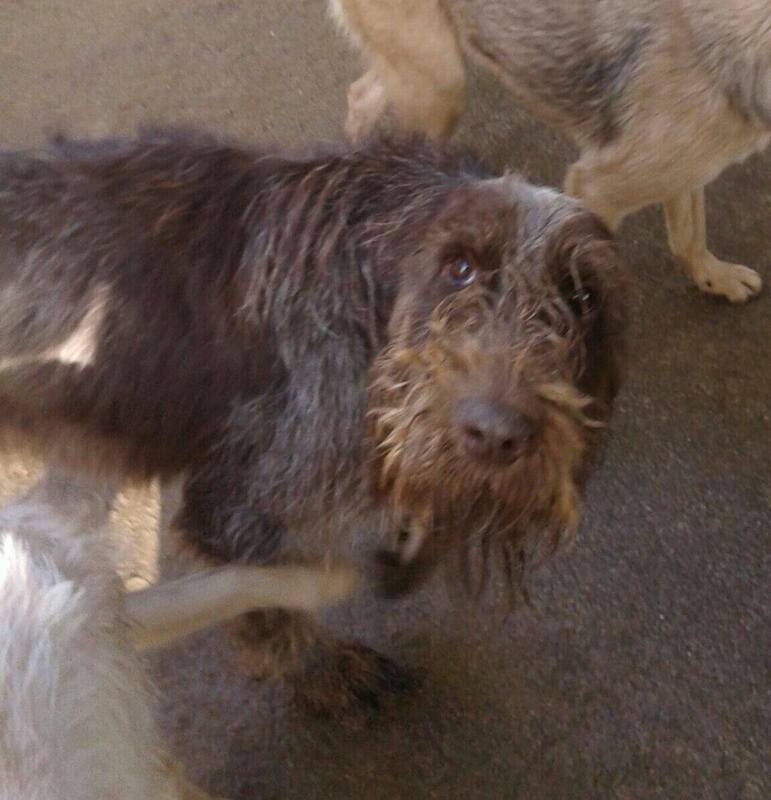 Irma now lives with Nigel and her best buddy Maisie the Spinone.